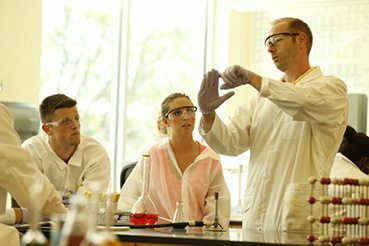 We provide students equal access to facilities, programs and services of the College. We support students with documented disabilities and provide a “level playing field” so that all students have the opportunity to succeed. 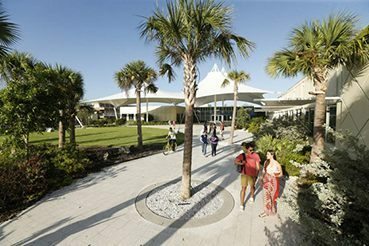 Eckerd College is committed to providing support services that enable students with disabilities to participate in, and benefit from, all College programs and activities. Eckerd College has placed the Office of Accessibility in the Center for Academic Excellence. How does the law define ``disability``? The Americans with Disabilities Amended Act of 2008 (ADAA) and Section 504 of the Rehabilitation Act of 1973 define disability as a physical or mental impairment that substantially limits one or more major life activities (e.g., seeing, hearing, walking, learning). These statutes use the average person (rather than peers) as a benchmark when considering relative strengths and weaknesses. This distinction is important in the determination of diagnosis and recommended accommodations for individuals with disabilities. How is support at Eckerd College different from what I received in high school? To fully understand how services differ for high school and college students, it is helpful to be aware of the differences in philosophy behind the laws that govern the educational mandates. The Individuals with Disabilities Education Act (IDEA) entitles children with disabilities to an appropriate education that allows for achievement during their secondary education. This “special education mandate,” which attempts to ensure a positive outcome, differs significantly from the antidiscrimination, outcome-neutral ADAA, which governs higher education. Thus, in college, the law is designed to ensure that an individual with a disability has equal opportunity rather than focusing on the achievement of particular academic outcomes. Consistent with the many other freedoms found in college, the responsibility for learning and successfully meeting the academic requirements for each course belongs to the college student. However, reasonable accommodations are provided for students with documented disabilities to ensure that measures of their performance are based on their ability, not their disability. Since the responsibility for learning and succeeding in college is on the student, we recommend that students become strong self-advocates to access the variety of supports available to them and to meet their academic goals at Eckerd College. 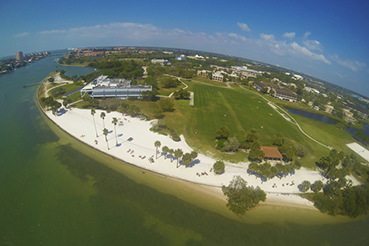 At Eckerd College, we support you in filing a complaint or grievance in the event you feel you have been denied equal access. If you have a complaint about the services you have received through the Office of Accessibility, or believe that you have been denied equal access, please try to resolve it by first speaking with the director, Marra Piazza Brass or with Dean Sanfilippo. Any participants, beneficiaries, applicants or employees, including students, staff, faculty and visitors, who believe that they have been harassed or discriminated against on the basis of their disability, or have been denied access or accommodations required by law, may file a grievance under this Section 504/ADA Title III procedure.